If you could describe Terry Funk in one word, it’s “giving.” He’s given so much to the wrestling business. In ECW, he was the main veteran who was really trying to lend credibility to a bunch of unknowns. As a former NWA World Heavyweight Champion, he had that legendary, iconic status where you could say his name and an arena would explode. He’s been around wrestling his entire life and he saw that ECW was different. He was an amazing in-ring competitor and adapted with the times. In his 50s, he was doing moonsaults into the crowd. Terry never went out there said he was Superman. He admitted he was an old man among kids, but had a lot of fight left in him. 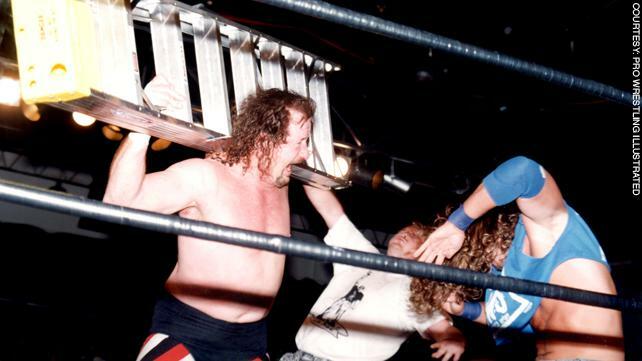 Terry Funk has done a lot for this business and he doesn’t get enough credit. But in ECW, we gave him all the credit in the world. — TOMMY DREAMER, as told to Z.L.